Throughout the process so far I’ve been surprised at the appetite for change. 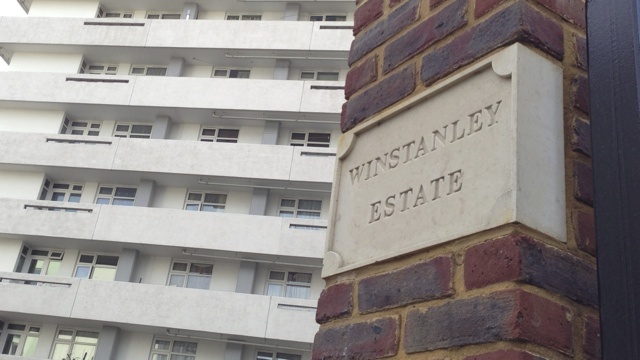 There was undoubtedly a consensus that improvements were desperately needed, and a significant majority of people recognised that—for whatever reason—the estates don’t ‘work’. I have my own views on why they don’t work, although re-reading them I’m struck that I didn’t explicitly mention the loss of a traditional street pattern which has to be one of the biggest problems (and hardest to address because it means removing buildings). Despite that appetite, I remain surprised at how strong that appetite for change has been. I perhaps blithely assumed people would plump for the middle option, but when I’ve been there and talking to residents I’ve seen demand for radical change, some even wanting to go further than the council’s options. Of course, not everyone shares that desire. The fact I’ve met so many people keen on change owes much to chance, because there are those who prefer other options, including the minimal refurbishment, and those who prefer hybrid schemes, taking elements from different options. The whole process is evolutionary, and while the suggested designs are becoming more detailed, feedback from this stage will be incorporated as the plans and delivery are more fully worked up. So if you are affected it’s worth attending one of the sessions. More details are on the council’s website.